Taking a wine tour is one of the top things to do when visiting the Margaret River region. 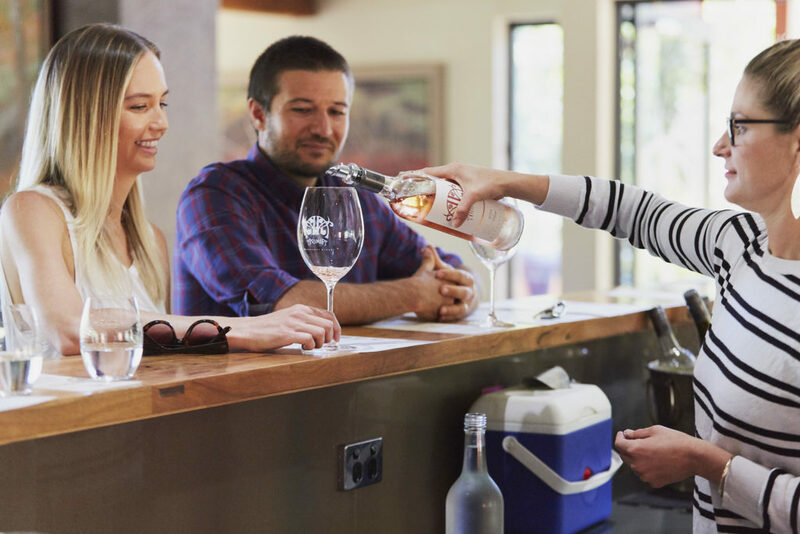 And while there are over 200 wineries and countless executive-level wine estates, there are also many boutique wineries around Margaret River. 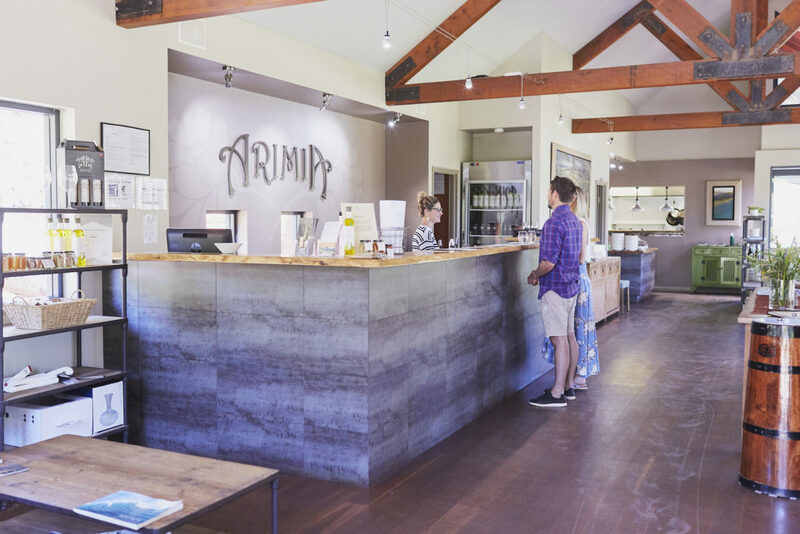 To help in your search for a nice drop at smaller, more intimate cellar doors, we’ve put together this list of our favourite and best boutique wineries. Cheers and enjoy. Set in the bushland, off the beaten track, is a charming little winery called Arimia. As you drive down a secluded dirt road, you may begin to wonder if you’ve gotten lost in your quest for fine wine, but rest assured, seek and you shall find. Once you spy the wooden lodge sitting pretty amongst the trees, you’ll feel relieved…and thirsty. You’ll be greeted by Bess, the resident dog with three legs, and enticed in by divine smells from the kitchen and the sight of an elegant bar. Arimia’s wines are created to pair well with food so if you have time, do stay for lunch prepared by Chef Evan Hayter. You won’t be disappointed. World famous for its grand, 165 acre estate and beautiful Gallop residence, Fraser Gallop is on the well beaten wine path in Metricup, but often missed by passing wine lovers. The intimate cellar door is set back, off the main road, and when you arrive, the only sounds you’ll hear are the birds singing (and maybe a distant hum of a generator). On a still day, it’s quiet and peaceful. The speciality here is Cabernet, followed by Chardonnay, though you’ll also find a light and easy drinking Semillon Sauvignon Blanc on the tasting list too. Fraser Gallop wines are smooth, well-balanced and delicious. Practically neighbours of Fraser Gallop, is Woody Nook Wines, a quaint and rustic cellar door and restaurant hidden behind rows of vines and nestled in the forest. Entering the boutique winery is like arriving home after a long day. It’s warm, friendly, unpretentious and there’s good wine. Lots of it. Enjoy a wine tasting to pick your favourite but be sure to sample the Graciano, a deliciously rich and palatable red. Even if you don’t normally drink red wine, there’s a good chance you’ll love this one. If you’re in business, leave your card on the wall with the thousands of others who’ve been there before you. The award-winning Windows Estate is a family winery committed to traditional wine making. The Davies family draw inspiration and knowledge from the world’s top wine producers to create handmade wines that let the fruit and its home environment shine through to be the star. Their boutique cellar door and wine list may be small but the quality and service is grandiose. This is certainly one of the smaller wineries that most people have never heard of, but are so thankful when they stumble upon them and taste their lovely, handcrafted wines. Most visitors to Margaret River will recognise Island Brook Estate as the vineyard with the red truck and wine barrels sitting at the entrance on Bussell Highway. This is another delightful family winery who are hands-on through the grape harvest stages. Their grapes make their own label wine as well as the drops for Haywood Wine Company. You can taste wine samples at their boutique cellar door, which is a scenic drive over a small bridge and through the vineyard. The little timber cabin that is the tasting room at Mongrel Creek could not be any cuter or welcoming. Inside, you’ll find a range of sparkling, red and white wines to sample and love. The family-run winery is located a scenic 10-minute drive from Wildwood Valley Cottages. 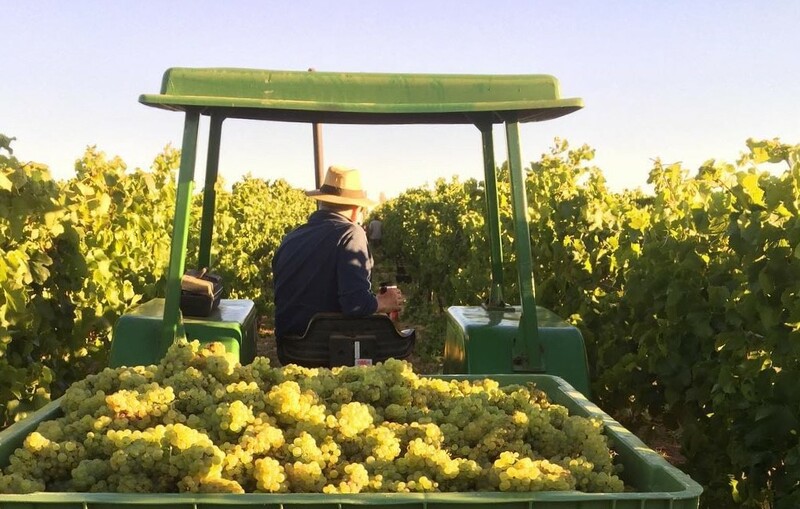 The Schoppe family’s aim is to produce quality wines at affordable prices. The small cellar door is (mostly) open daily but it is recommended to confirm before making a special trip. Another tucked away and hidden winery in the Margaret River region is the much-awarded Cape Naturaliste Vineyard in Yallingup. Their heavily awarded wines can be tasted at their cellar door, which is a larger boutique bar in a gorgeous stone cottage. There are three wine collections to choose from: Cape Naturaliste, Torpedo Rocks and Reserve. If you’re travelling with your dog, feel free to bring him/her along. They may even make it onto the Puppy Wall of Fame. No Replies to "Best Boutique Wineries around Margaret River"